Every time I go to the grocery store, I’m bombarded by candy, pumpkins, and other signs of Fall. 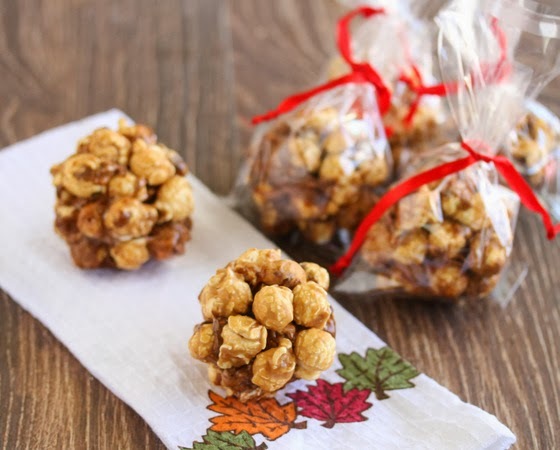 I remember trick-or-treating as a kid and one of the most coveted treats would be caramel popcorn balls. 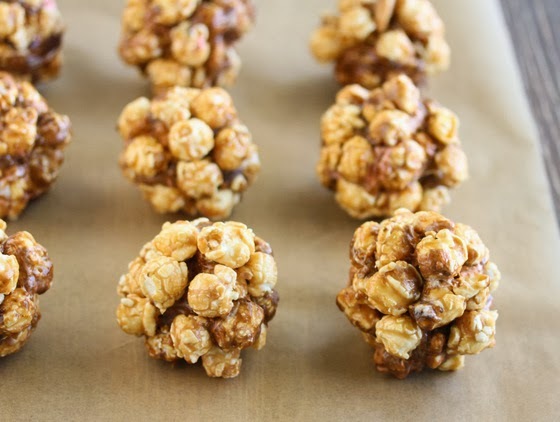 I had a bunch of caramel popcorn sitting around and had a sudden urge to make this childhood treat. 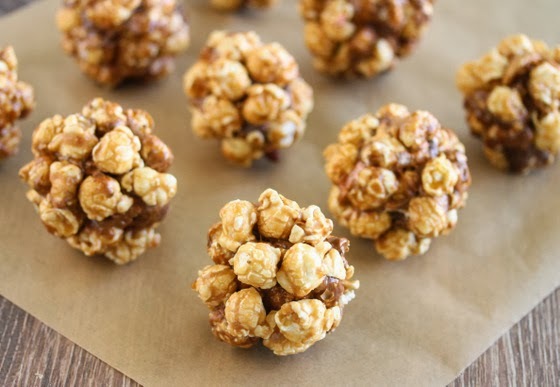 You can use regular popcorn as well, but the nice thing about using caramel popcorn is that it saves you the extra step of having to flavor the popcorn balls after with caramel, chocolate, etc. These are so easy to make, I don’t know why I never thought to make them before. It’s basically like Rice Krispies treats, but with popcorn instead. I also replaced the regular marshmallows with some chocolate swirl ones I found. I might try this again with the pumpkin spice marshmallows I just bought. This is a perfect party favor idea too if you are having a Halloween or other type of Fall party this year. Melt marshmallows and butter on stove top in a small saucepan. You can also do this in the microwave. Pour over caramel corn and mix with hands until popcorn is fully coated. Working quickly, shape popcorn balls, be sure to squeeze tightly to keep balls together, and then set aside to allow to cool.